Real Kathmandu Tour that makes your single day tour in Kathmandu easy and knowledgeable. You can know about the importance of places and cope up with the rules and regulations. 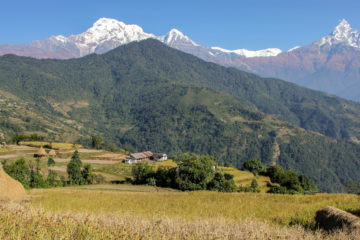 Real Kathmandu Day Tour is combination of Everest Mountain Flight, one of the best sightseeing places of Nepal & short hike to Nagarkot in a single day tours in Nepal. Save your money and time. Nepal Tours offers more things to do on a day trip than anywhere else in Nepal – best of all there are many types of day trips available but Real Kathmandu day tour is the best option for explore to Kathmandu valley and Nagarkot in one day tours in Nepal. Whether you are an independent traveler or looking for a package tour everyone can easily do a day trip around Kathmandu. Some travel guides will include places like Kathmandu Durbar Square, Boudhanath, Pashupatinath or Swayambhunath as “private day trips”. However, they really are a part of Kathmandu city proper. But Nepal Tours included the Everest Scenic flight in an early morning + Kathmandu full day culture tour + 3 hours short hike to Nagarkot for sunset views in one single day. You ever seen such a day tours in Nepal. Do read about them above. Meanwhile let’s move on to real morning or half-day trips you can enjoy around Kathmandu. All of the above full-day trips around Kathmandu can be done independently with the transport and visiting details available in their individual guides. However, sometimes you may want to book ahead from home if you are short on time. This Real Kathmandu Day Tour recommended day-trips around Kathmandu that you can book online. If you’d like to use a local company (Nepal Tours) that provides private tours with your own jeep and driver/guide then feel frees to contact us.